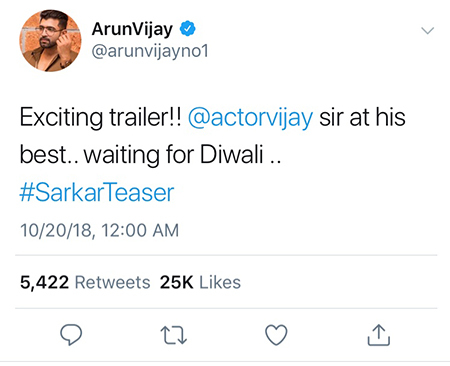 The teaser of Tamil star Vijay’s upcoming film Sarkar was released last Friday and the Telugu version teaser was released on October 23. 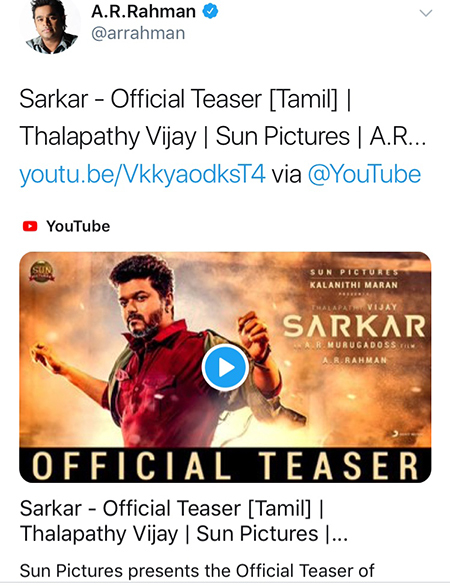 The teaser in both languages is trending on social media and has broken several records ever since. 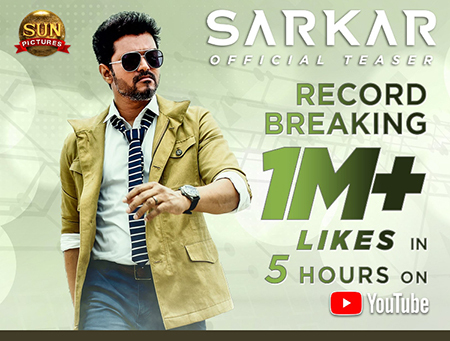 The Tamil teaser of 1 minute 34 seconds duration hit more than1 million views in 10 minutes on Youtube. It touched the 16 million views milestone with more than 1.2 million likes in 24 hours. 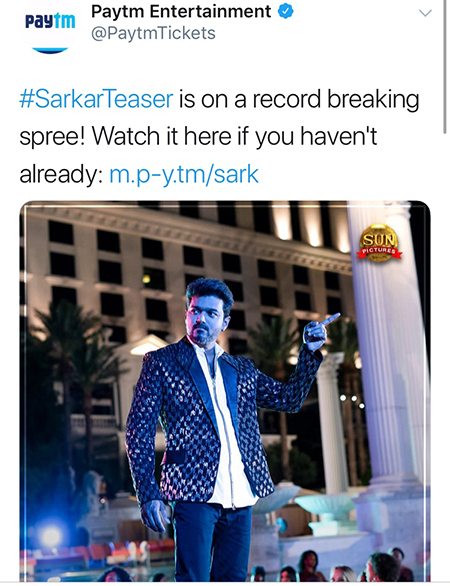 Since the release of the teaser hashtags such as #sarkarteaser, #sarkar #thalapathyvijay, #thalapathy were trending on the social media sites. The latest number of views for the teaser is 23 M+ views on Youtube and has become the most liked teaser ever. 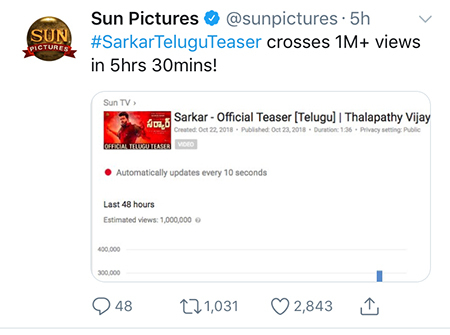 Sarkar’s Telugu version teaser crossed 1 million + views in 5 hours 30 minutes and is trending on the social media. 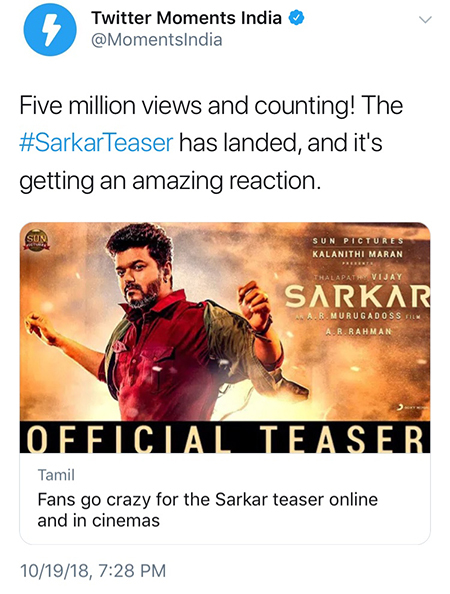 The teaser was trending in 15 countries and was No 1 in India, UAE, Srilanka. 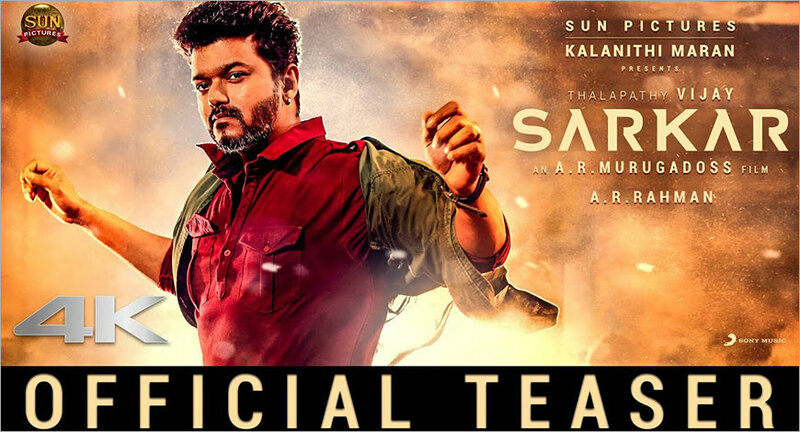 The film which is geared to hit the screens in Diwali, is a political thriller and is directed by AR Murugadoss and produced by Sun Pictures. 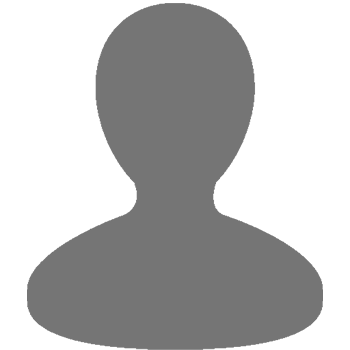 The female lead is played by Keerthy Suresh and the music is by AR Rahman. The director has revealed that the lead character played by actor Vijay is inspired by Google CEO, Sundar Pichai.